Trees are the dominant component in landscapes and one of the most effective ways of improving the image and landscape character is to plant trees in open space. But not all trees are compatible for every planting site or in every climate. Tree selection and placement are two of the most important decisions to make when planting trees. Many trees have the potential to outlive those who plant them, so the impact of this decision can last a lifetime. You often only get one chance to plant the right tree, particularly in public landscapes, as the ability to remove and replace poorly chosen trees is difficult. This leads to the development of the common mantra ‘right tree, right place’. Matching the right tree to the right place benefits both the tree and owner. The greatest benefit is derived from healthy, structurally sound trees planted in the right place that supports their development. Planting the right tree in the right place will maximise benefit while minimising the costs. For the purposes of this discussion we have taken the right tree right place further to include the right way and the right time. understand the function that the right tree will perform, such as deciduous or evergreen, shade implications, screening and ornamental characteristics. consider exposure to sunlight/shade, drainage, soil conditions, particularly compaction, tolerances to extreme climatic conditions, and pest and disease susceptibility. 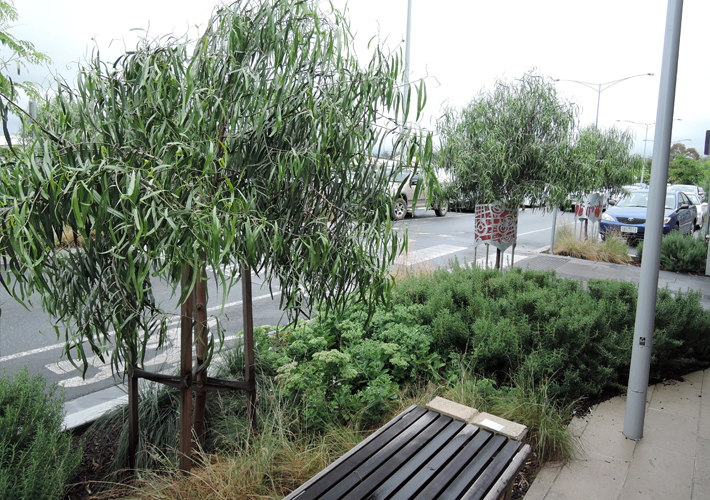 Is there sufficient space for the tree to grow without impacting on adjacent infrastructure? consider the mature size and form of a tree. planting too deeply, along with too much or too little watering, is one of the most common causes of newly planted trees failing in the landscape (see how a nursery in England is trying to solve this issue; The Barcham Line. selecting quality nursery stock also has a large part to play in creating successful landscapes. tree planting campaigns (e.g., million trees) have the potential of putting in too many trees too quickly. a large influx of trees too quickly can create a “baby boom” effect or a bubble in the tree population where a large group of trees would grow old together and then begin dying around the same time. the bubble would be good for a while, but would also create a large loss in population in a relatively short period of time. the issue is sustaining canopy cover through time and trying to avoid a boom and bust cycle – sometimes less is more in the long run and staggering plantings over more time is better for sustaining tree cover. This also depends on how many trees are being planted and projected mortality rates. Although the introduction of new trees into a landscape can be considered one of the simpler horticultural tasks, trees create a long-term impression in the landscape. They can alter the identity of the landscape and impact on infrastructure and management practices, and subsequent resource allocation. Matching the site constraints or opportunities to tree requirements will lead to more successful landscapes. There will be situations in which tree selection alone will be the best tool to achieve the desired outcome. The greatest benefit is derived from healthy, structurally sound trees planted in the right place to support their development. Planting the right tree in the right place will maximise benefit while minimising the costs.